Three days to read and write about applied neuroscience… sweet! Plenty to do, errands to run, chores to catch up on, in the time I have off for the week. Which means less time than I’d like devoted to writing. But I’m probably just being greedy. Jealous of that beyond-my-control thing called Time. Not to mention a little unrealistic. But truth to tell, I actually have gotten more work done on the book than I’ve done in months — maybe a year. It just doesn’t feel like it, because I feel so far from the conclusion. I’ve got the Introduction and first two chapters (of 8 total) pretty well sorted out. I’m now working my way through Chapter Three — which I have to say is really getting me pumped, because it’s all about what drew me to this work, in the first place. What fascinates me? Neurology. Neuroanatomy. Biochemistry. I got into this subject over the past 10 years, as neuroscience has leap-frogged ahead in a series of really amazing advances. Technological / imaging progress has been paralleled by an ever-increasing body of scientific literature — some of it even Open(!). And then there are the kind researchers who have forwarded me copies of their papers, when I read the abstracts but couldn’t afford the $35 to buy the whole thing outright. I’ve had a steady “drip” of neuroscience in my life, for years now, and the fact that I don’t actually make my living at that type of science (I’m a technologist), has definitely freed me up to explore areas that many a self-respecting PhD with a reputation to protect would never dare enter. Such fascination. There are some amazing brain / neuroscience projects going on, these days, including some very cool free courses available online from places like MIT and Coursera. Of course, you have to have free time, to do a course justice — even the online ones — and with my packed schedule, it just hasn’t been possible to dig deeply into them. But at least I have imagery. And maybe that’s for the best. Because reading all the words and listening to all the talks points my attention in a certain direction (as it should). But finding the ever-evolving imagery piques my interest in visual-spatial ways that and get me thinking, “Hey! Wouldja look at that!”… and that sends me off in a glorious reverie of ever-deepening appreciation of just how intricately and amazingly we’re put together. Looking at neuro images, and then thinking about what that tells us about our lives and the way we work — and could work better — has morphed from a passing interest to a persistent passion… a continuously burning flame that never seems to fade. I might get distracted by things like… oh, earning a living (yeah, that)… and I might not have as much time to write about it as I like, but I always come back to it. And when I do, it lights up parts of my life that tend to go a little dim in the crush of existential necessity. Bottom line: The closer we look at things that can only be seen with an electron microscope, the more we can learn about all that stuff that’s larger than life and obvious to anybody who’s paying attention. 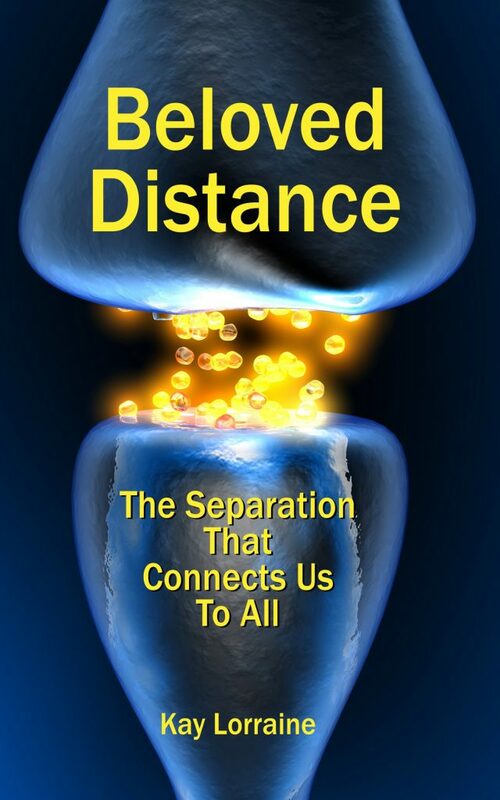 Beloved Distance is about how we function in relationship, from the smallest scale to the largest. And the more I study the pictures in my Neuroscience textbook (by Bear, Connors, and Paradiso), the more it holds and strengthens my interest. This is seriously fascinating sh*t, and I really hope I can convey this to my readers. It’s not just fascinating. It’s essential. Okay, back to reading my textbook and getting my numbers trued up. What if we applied what we’re learning for #AI to human systems?